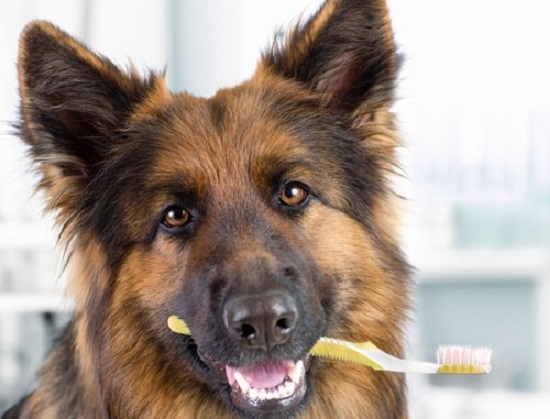 These 24 DIY DOG Toothpaste Recipes are made from natural ingredients that prevent plaque buildup and take care of your dog’s dental health and provide odor-free breath! The antibacterial and deodorizing properties of baking soda make it a perfect fit for homemade dental solutions. 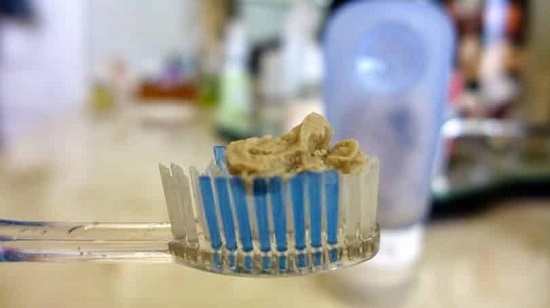 When you’re short on time and want to whip up a natural fix to combat bad breath and stinky gums, this DIY Dog Toothpaste Recipe is your answer. 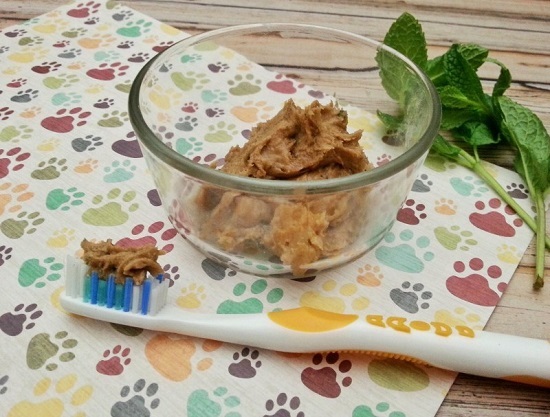 In addition to being herbal and effective, this toothpaste recipe includes bits of chicken or beef, as well as mint leaves to excite your dog’s senses, making brushing times a fun activity that both you and your pup will enjoy. Get the recipe here. 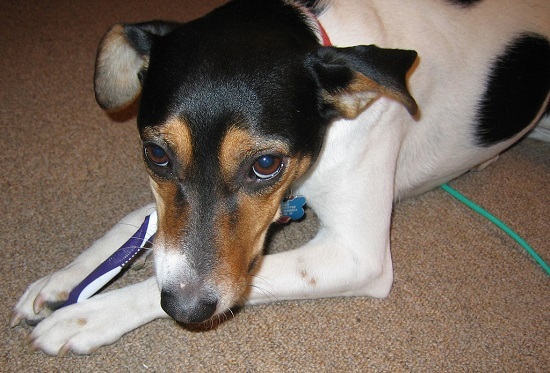 If bacteria is making your dog breath smell like a skunk, this cinnamon-scented toothpaste with its anti-inflammatory ingredients like coconut oil and the odorizing action of baking soda is sure to make cuddling times more enjoyable. Get the DIY here. 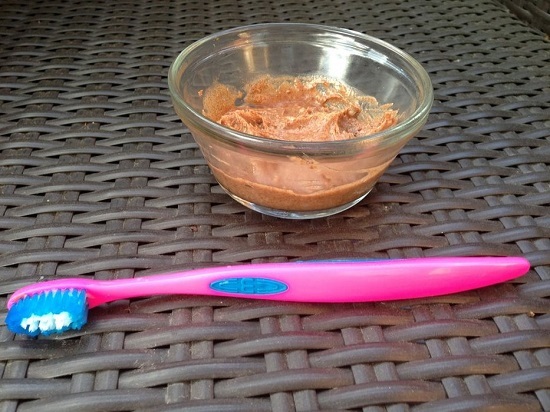 Lap dogs with teeth that are congested in a small space benefit highly from this homemade toothpaste whose abrasive texture makes it easy to reach into inaccessible corners of the mouth and clean up plaque build-up quickly. Find the details here. 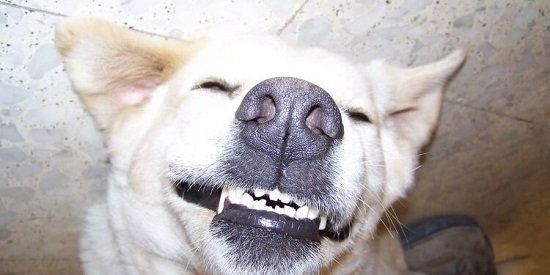 Let the goodness of sea salt work on your dog’s teeth, it’s wonderful. Get the recipe here! Free of synthetic colors and chemicals, this peppermint-scented toothpaste is a natural solution for removing stubborn plaque and refreshing bad breath. Watch the tutorial here. Using just two ingredients, baking soda, and coconut oil, this organic dental fix is easy to prepare and has a texture just like its chemical counterparts. Watch the video for more details. 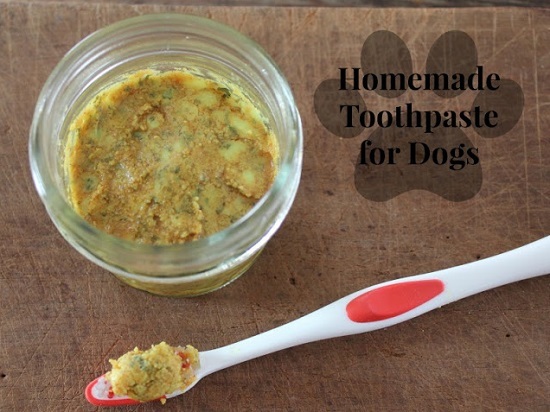 With coconut oil as the base, this is one of the coolest DIY dog toothpaste recipes that use parsley to get off tartar, cinnamon for gentle abrasion and the flavor of beef broth for extra taste. Get the details here. Combining dry and greasy ingredients in equal proportions, this all-natural toothpaste is fun to apply and has the right consistency to clean without causing abrasion to sensitive gums. Get the DIY here. Enriched with the plaque deterring properties of peppermint oil, this mildly fragrant toothpaste is a cost-effective and potent solution to all kinds of teeth problems–from bad breath to weak gums. Check out the recipe here. Loaded with the refreshing flavor of mint leaves, this mildly abrasive and salty toothpaste deodorizes within seconds. Adding beef granules takes the taste to the next level, making brushing an exercise that your dog will look forward to. Find the recipe here. 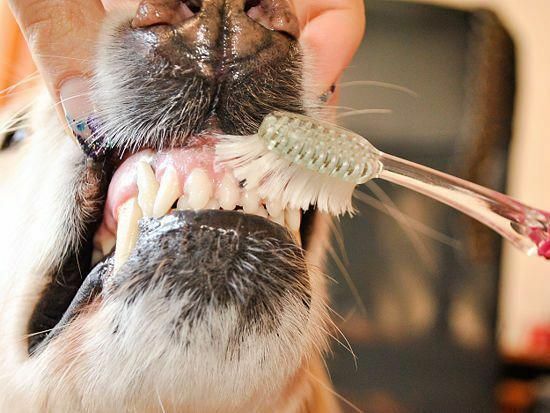 This basic dog toothpaste recipe needs just three ingredients from your kitchen. Find the recipe here. 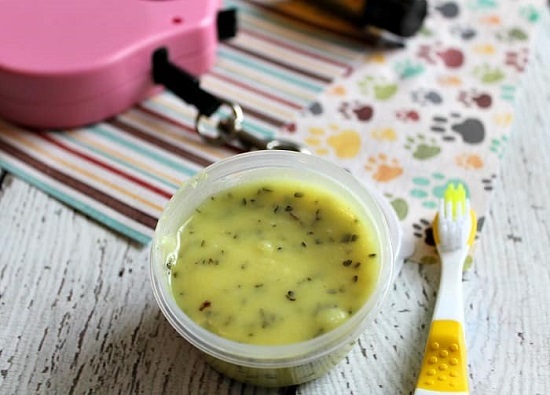 If you want a cheaper and healthier alternative for your canine’s gum health, this homemade DIY dog toothpaste is a healthy alternative. It just needs baking soda and iodized salt. If defeating stinky breath is your goal, consider adding some dried parsley as well. Watch the video for the complete recipe. When resilient, plaque-producing germs are the bane of your dog’s existence, look no further than neem. This DIY goes the extra mile to include almond butter, making it a healthy and tasty toothpaste that won’t cause harm even if ingested. See the tutorial here. Suffused with minty freshness, this herbal toothpaste has cinnamon, baking soda, and coconut oil. Not only it smells good but also comes with a consistency that will make the brushing easier. Get the recipe here. Infused with juicy chicken bits, this cinnamon toothpaste cleanses gums and is a specially effective oral solution for dogs dealing with anxiety issues. Find the DIY here. Hard to say whether this is a toothpaste or a treat, thanks to the addition of beef. In any case, it works like a charm; consider increasing the turmeric content for teeth brightening. Get the recipe here. With colloidal silver for potent anti-bacterial action and coconut oil for mild abrasion, this effective toothpaste is easy to blend and customize according to the consistency you want for your pooch. Find the details here. This mineral-rich herbal toothpaste has kelp, turmeric, and parsley for odor-free breath and whitening teeth. It’s easy to absorb and use as well, especially on far-reaching corners of his mouth. Find the details here. With its coarse texture and anti-inflammatory ingredients like parsley and coconut extract, this fluoride-free toothpaste is great for oil pulling and keeping his dental health sound. Get the recipe here. If you don’t want to spend a dime on nasty chemical toothpaste, this organic version enriched with kosher salt, baking soda, and mint leaves neutralizes bad smells and stops plaque-causing bacteria right in their tracks. Get the DIY here. 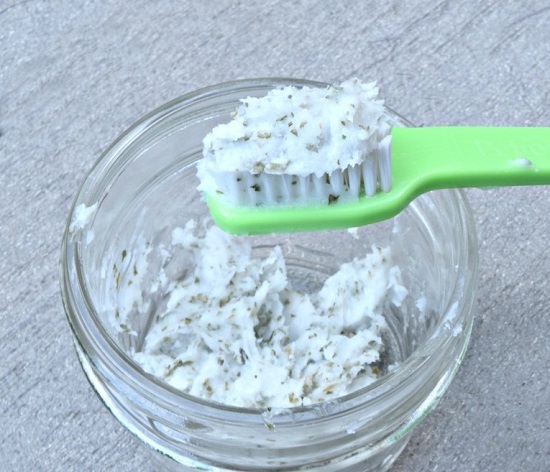 This easy organic toothpaste takes the help of baking soda, coconut oil, and dried parsley to cleanse out every trace of tartar and plaques in minutes. Find the instructions here. 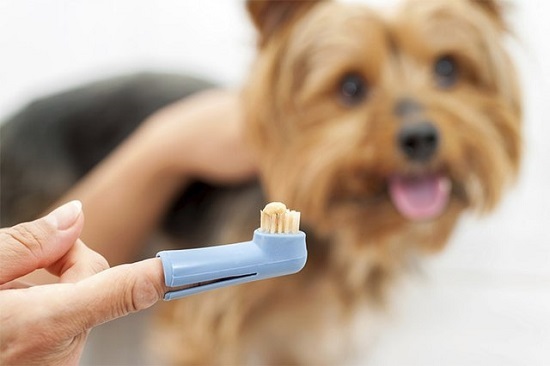 With a pinch of turmeric and few drops coconut oil, this antibacterial and mildly abrasive dog toothpaste helps kill plaque-causing bacteria, promotes gum health and even fights odor issues. Get the recipe here. 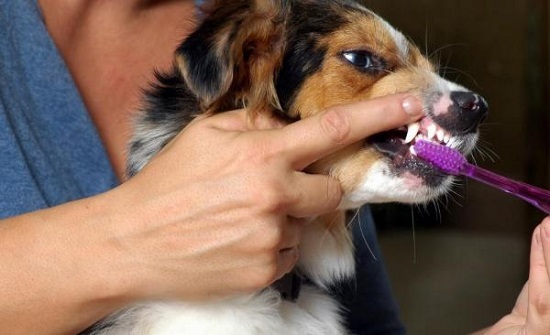 This natural dog toothpaste recipe has baking soda and salt to fight bacteria build-up and dissolve plaque gently but effective, making it a natural solution for your dog’s dental health. Here’s the link.